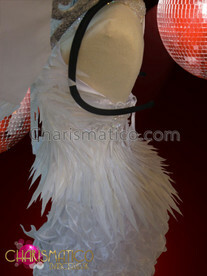 Tickle your fancy in this burlesque costume fit for an Ice Queen. 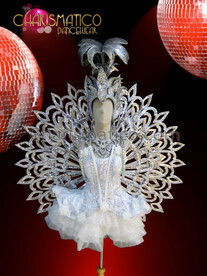 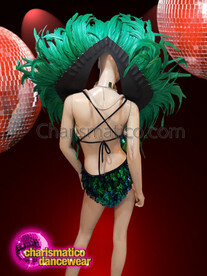 Headdress, boa, and coordinated leotard all let you jazz up your look in pure shimmering iridescent white. 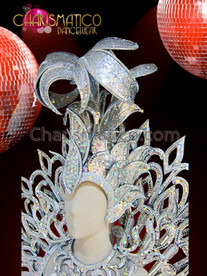 You'll look regal and have the ability to mix in colors as your collection grows.